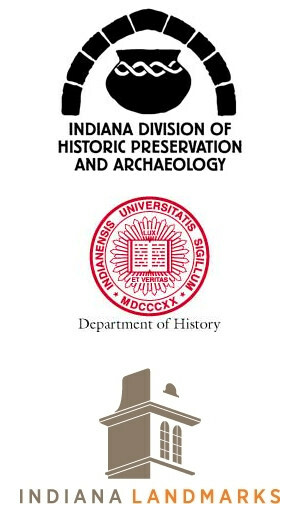 Architura was in attendance of the annual Statewide Preservation Conference, located this year in Kokomo, Indiana. A wide range of topics were presented and valuable information was obtained to apply to future historic preservation projects at the firm. The topics ranged from affordable accessibility solutions for existing historic structures to properly analyzing water penetrations in buildings and restoration of historic steel windows. Several case study projects were presented to broaden the scope of adaptive reuses for structures in small towns across the state or what to do with old industrial infrastructure. In addition to gaining information from colleagues in the geographical area, Kokomo hosted an outstanding array of a ‘Taste of Kokomo’ with homemade root beer, breaded tenderloins, flavored popcorn, and a local favorite donut shop. There was also a highlight in the conference with a guided tour of the Kokomo Opalescent Glass Company. Established in 1888, during Indiana’s Gas Boom, it is the oldest art glass manufacturer in the United States known around the world. Architura is committed to the evolving technology to preserve historic buildings and gain insight to ensure our historic fabric is maintained well into the future. Next year’s conference will be located in Vincennes (the first territorial capitol for Indiana) in honor of Indiana’s 2016 Bicentennial celebration.